The Letting Line is the residential letting and management wing of Atkinsons Residential. Atkinsons have been agents in Enfield since 1968, helping many generations move home nearly four decades. The Letting Line was established in 1997 to bring a fresh approach to the letting market. We strive to provide simply the best, most attentive and pro-active service around. We aim to keep things simple, taking time to explain procedures in full, without baffling you with technical jargon. Customer Service is as important to us as it is to you. You will always find our staff helpful, polite and always willing to assist. Communication is an essential factor of our service, keeping you abreast of the situation and giving you regular updates and appraisals. We offer three levels of service, which all emanate from our ‘Letting Only’ service. Although our most ‘basic’ service, it proves to be the most popular due to its comprehensiveness and being excellent value for money. When we hand the management over to the landlord, the tenancy is up and running. We would have already set up the standing order from the tenant’s account directly to the landlord, carried out the check-in and written to the service providers on behalf of the landlord to connect the services up into the tenant’s name. So when the landlord receives their pack in the post with the FREE Rent Guarantee Cover, there is little else for the landlord to do other than the usual management duties. Secondly, we offer a Rent Collection service in addition to the Letting Only service. Instead of the rent being paid to the landlord directly, it is sent to our dedicated clients account. As soon as it has cleared, we send an electronic payment to the landlords chosen account. If there are any problems with any rental payments, then we do the chasing. If in the unlikely event that we have to use the Rent Guarantee Policy, then we will process the whole claim and liaise between with the insurance company’s lawyers and the landlord. Finally, we offer a comprehensive Management Service. In addition to the Rent Collection service, we carry out inspections every twelve weeks. This allows us to ‘nip in the bud’ any little issues that may arise, before turning into major problems later. Once an inspection is carried out, the landlord receives a report in the post, detailing our findings. Our Management Service also makes us the main contact if there are any problems at the property. Our landlords take advantage of our discounted rates from our approved contractors, and we never carry out repairs without the landlord’s prior consent, except in the case of emergencies where the landlord is not contactable. This service is designed for people who are not able manage the property for themselves, i.e. if they’re living abroad or a long way away, or simply if they want relax and not worry about their investment. If you would like further information or would like to arrange a free of charge property appraisal, complete our form, or please feel free to contact us. 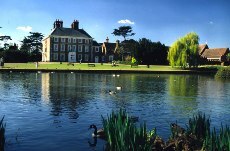 Enfield is the most northerly borough of Greater London and is home to a community of over 280,000 people. 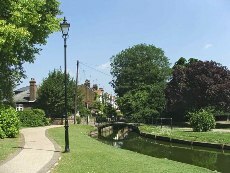 With its excellent communication links, being one of the greenest boroughs in London (with 105 parks and open spaces and its close proximity to stunning countryside) as well as being just 13 miles from central London, it’s no wonder that Enfield is such a popular place to live. In the Borough of Enfield there are over 15 mainline train stations providing direct links to Central London (Moorgate & Liverpool Street). Enfield is also served by the Underground (Piccadilly Line) with stations at Cockfosters, Oakwood and Southgate. London’s arterial motorway, the M25, forms part of Enfield’s northern border and can be accessed easily from either Jct 25 (A10 Enfield) or Jct 24 (A1005 or A111 – Potters Bar). The A10 takes you directly into Central London and connects with the A406 (North Circular Road). 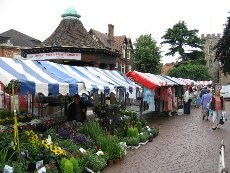 Enfield Town is ancient market town with the market dating back over 700 years. The Palace Gardens shopping centre has recently been extended and includes stores such as Marks & Spencer, Waitrose, Next and Pearsons Department Store as well as dozens of other well known ‘High Street’ stores. There is a huge choice of coffee shops, pubs, bars and restaurants of varying cuisines and budgets.